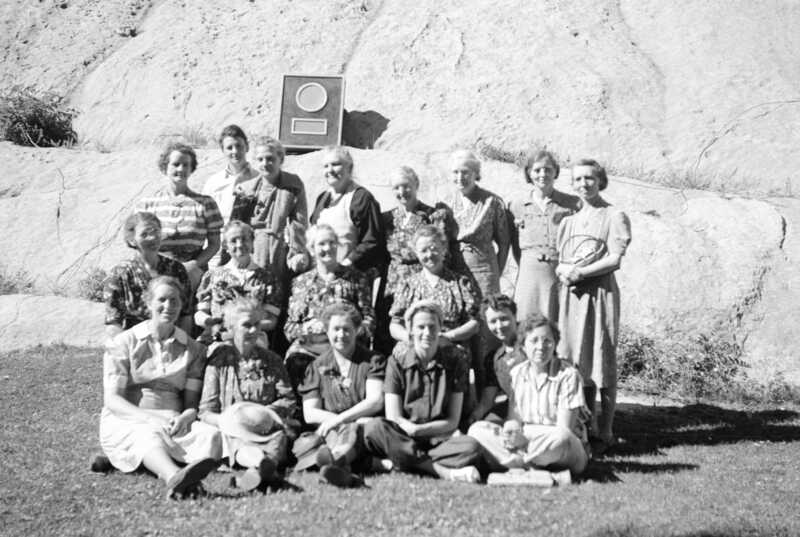 Description A group of women are pictured at the Ashley Power Plant in Brush Creek Canyon. Among the group are Zina B. Howard, Lucille Calder, Permelia Batty, Vilate Freestone, Winnie Collett, and Evelyn Richardson. The others are unidentified.